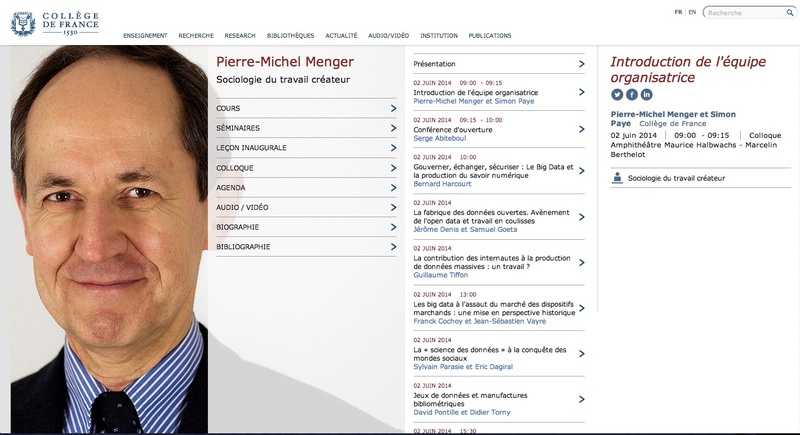 Le College is holding its first Symposium related to the digital turn in the social sciences: “Big Data, entreprise et sciences sociales – Usages et partages des donnees numerique en masse.” The session is being organized by Pierre-Michel Menger, a professor at the College and sociologist at EHESS whose research focuses on innovation in labor markets and systems of work and production in the arts sector. The symposium includes 10 interventions on topics ranging from the interaction of emerging quantitative methodologies with more traditional methods of social sciences and the nature of the knowledge produced for policy the more we rely on sources of Big Data. 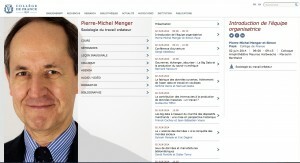 One of our scientific advisors, Sylvain Parasie will be presenting, as will Dominique Boullier, a member of the medialab.